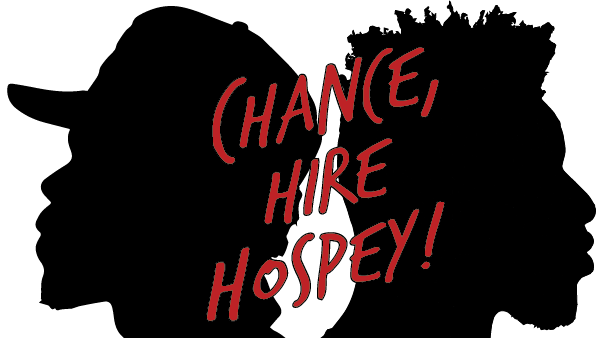 Portfolio: I’ve Got No Genre – Chance, hire Hospey! "listen to the kids, bro." When it comes to my trade, I have no genre. My greatest strengths lie in both my written and verbal skills, but I have additional skills in brand building, design, website creation & management, video production, and visual art. I am well versed in many creation programs including the Adobe Creative Suite (including Illustrator, After Effects, & InDesign), Microsoft Office, and of course WordPress (I built this entire website, logos, content and all, in about 4 hours), amongst others. I have been inspired by the work ethic, talent, and focus of the great creatives in my generation including A$AP Yams, Ronnie Fieg, Casey Neistat, Saul Williams, and of course, Chance the Rapper. In 2015, a few weeks after the passing of Yams, I decided that coasting along in University feeling uninspired wasn’t the best use of my time. I stuck with it, but decided to launch my own platform for creation called REDLEAFGOLDTEETH (RLGT) – focused on Canadian urban culture, hence the name. I wrote about whatever I was into at the time, and made whatever I wanted. A friend joined me, and before I knew it my side-project became my brand. At just 20 years old my company RLGT had started to show growth that I could have never imagined. I used my heightened insights of the music industry and my social marketing abilities to grown the brand; we did 100,000 page views in our first 11 months. To date, we’ve had over 200,000 page views, released 4 sell-out clothing lines, world-premiered songs, interviewed countless artists, and provided a platform for young creatives to share. Similar to the ideologies of Chance the Rapper, my venture has stayed 100% independent. We have never hosted a paid advertisement, or taken money from any creatives. All of our clothing lines were fronted by out founders and used to raise funds for our projects – we commissioned Canadian artists to make the designs for us, used local models & photographers for our shoots, and peddled every single t-shirt and hat by hand. Since then, I have graduated with a Bachelor in Communication Studies from the University of Calgary this past December, began my travels (I am currently living in Sydney, Australia for a change of scenery), and started my new personal blog, hospeyhowto.com. As a young, black Canadian creative traveling the world and taking in new experiences every day, I look for the wildest opportunities and chase them (like that one time I traveled 15 hours by bus to see Chance the Rapper, last minute, before an exam), and then use my storytelling abilities to share and connect with my audience. The chance to intern for my favourite artist would be another one of those wild opportunities that I intend to chase. Below is a short form version of my creative portfolio, showcasing just a little bit of my experience. (BTW, this is my real portfolio that I submit to firms… I just happen to reference Chance a lot in my writing). This is the most creative portfolio I’ve seen!